[PDF] Cytokines in Human Health: Immunotoxicology, Pathology, and Therapeutic Applications (Methods in Pharmacology and Toxicology) | Free eBooks Download - EBOOKEE! 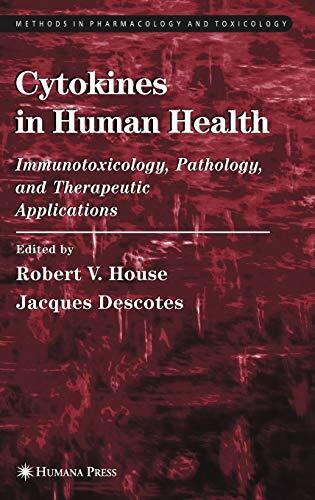 Description: This comprehensive book explores the role of cytokines in immunotoxicology and human health using a variety of complex methods, from basic research to highly applied therapeutic applications. It includes a basic study of cytokines and details the effects of cytokines on the immune system and in treating cancer. The book serves as both a primer and a starting point for a more detailed investigation of the role these biological regulators play. No comments for "[PDF] Cytokines in Human Health: Immunotoxicology, Pathology, and Therapeutic Applications (Methods in Pharmacology and Toxicology)".